Yesterday the Parliament of India have created a history by making a walkout even before the budget was yet to be finished. The opposition parties made the walkout once it was declared in the budget that petrol prices to go up. 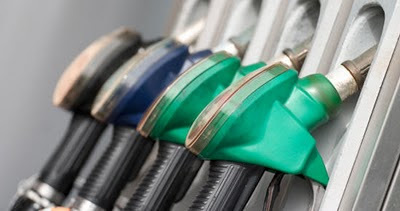 To levy excise duty of Re1 per liter on petrol and diesel have made the whole of India to think about the probable price they will have to pay for every commodity. Earlier before the budget day words were being heard where their were mixed views and testimonies where deregulation of oil prices were on the agenda. If price of oil was deregulated then it would ease pressure on government finances and improve earnings of state-run oil marketing companies. But at the same time their were fear that the price of deregulated oil will increase the inflation to a higher risky zone. Other fear factor reasons followed the deregulated price regime of oil. Now it stands that oil marketing companies are facing losses and are being subsidies by government and more statistical figures and we find some endless debates, Summing up . all that can be concluded that government is not going to pay subsidies at the cost of its fiscal balance. We need exploration policies which will help to meet the demand at home of oil products. At the same time the government needs to make an end of this debate whether to go for deregulated oil prices or not. We should not forget that when Indian economy is expected to have a growth of 8% to 10% of GDP oil consumption will pick up and resulting more import. This will exert more pressure on the coming days on fiscal balance of India. If some policy changes is not being made in oil exploration and allocation of funds for exploration projects, Indian economy is bound to face hard times and price hikes will only lead India economy to a dead lock. At present government is running fiscal deficit. At international level crude prices are hovering around $75-$80.If demand of crude picks up internationally then imagine when crude will come up to $147 level of July 2008 where Indian oil prices will be hitting. We all need to look into the long term affects and movement of prices of oil. Their is no use of making a walk out from parliament during budget session. Even by doing protest there is no use. Since which ever government comes cannot control oil price, where a country imports 70% of the crude from international market. This is not a commodity of Indian economy. If any price disruption happens it affects every economy across the globe. • India's food processing industry is expected to benefit and grow to around $260-billion from the present $200-billion in the next 6-years. • Under the 11th Five-Year Plan, 30 mega food parks are being planned in different parts of the country. In the first phase, 10 such parks are expected to come up in the next two years. • For this the food processing industry is required huge flow of credit. Banks may not find the process of funding to be more feasible as in the major cases we find banks are reluctant to provide loans on new projects. • To increase the flow of goods to each part of India working capital requirements will be more. At the same time technological up gradation needs more funds. By enabling ECB these technical and infrastructure requirements for the industry can be met very easily and without much time consumption. Many venture capitalist and private equity investors will come forward and will find growth in this sector. • Food processing is the process of adding value to the agricultural or horticultural produce by using various techniques like grading, sorting, packaging, etc. 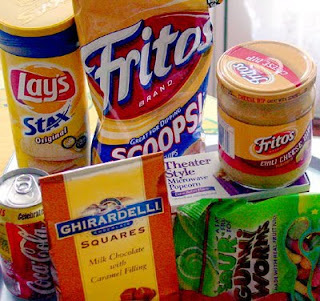 which enhances the shelf life of food products. • If we look at the investments flow in this sector we find that the amount of FDI inflow into the sector which stood at Rs. 333.06 crores (US$ 74.01 million approximately) in 2005-06 and 2006-07 (till September 2006). • So apart from FDI inflow if ECB is also made available to the sector the industry might be in a position to replace the few other sectors which are now appearing to be probable threats. • Food processing industry will become a prominent sector in the coming days. • The sector is also one of the largest tax payers to the government. As a whole we are thankful to the Indian finance department for acknowledging the potential growth hidden within Food processing industry. This sector will propel in this new decade. The growth from this sector will give huge growth to the Indian investors as well as the venture capitalist and private equity investors. The small projects will now get the attention of venture capitalist. The ailing companies in this sector will get a new sun shine. Indian Food processing industry will be the next portfolio for the financial investors of the world. 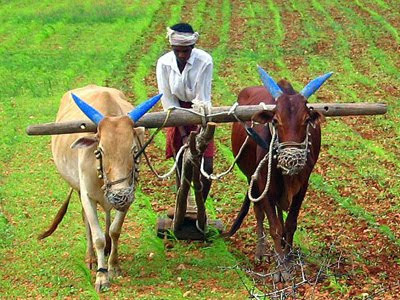 AGRI CREDIT FLOW TARGET RAISED TO Rs.375,000 CR FROM Rs.325,000 CR LAST. The Indian agriculture has been called as a vote bank for the parties. For UPA this word was used like any thing during the last tenure. But what now they will say when UPA government have made a improved credit flow for the agri sector. The agri sectors have reeling under hard times. First of all low monsoon and later on delayed monsoon resulting loss of many crop plantation timings. UPA governments have been very close to the AM ADMI via the route of agriculture. It have done the waiver of Rs.60,000.cr for the farmers giving them a big relief. The government was not only focused towards higher allocation of funds for the agri sector but also looked into the repayment mechanism. It has kept a close tab on the problems that arises from poor monsoon and other natural calamities. By extending the farm loan period by 6 months to June 2011 it have created a big a relief to the farmers and also gave them opportunity to capitalize and make the food inflation to cool down slowly without making any other regulatory body to make any decision. We have seen in the past that RBI is active in taming inflation. But by enhancing this measures the government gave RBI also a space of making a cool out lay of controlling food inflation. The Indian economy might not see some aggressive measures to be taken up by RBI in the coming days as it was feared by us. 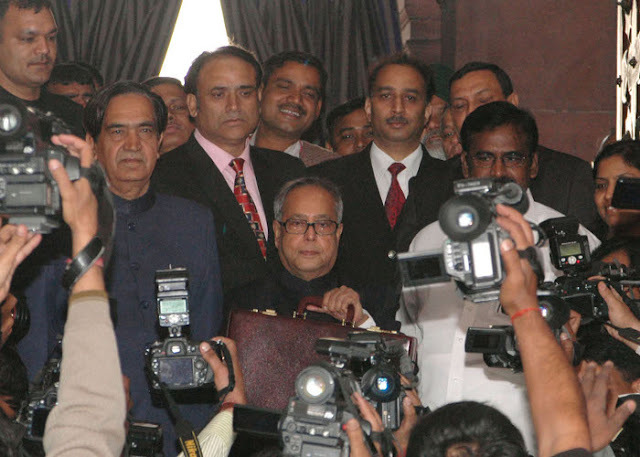 Government has given time and strategy to cool of the food inflation through this package of budget 2010-11. We all should not forget we are coming out of easy economy to a competitive economy. The present government or any government across the world cannot let loose economic policies. War basis activity is for abnormal situations and not for normal situation. I have been hearing that this budget will spook inflation. I will come up with this debate very soon in my next article. Month of February is the shortest month of the year and this shortest month gets the highest importance other than any month of the year. For Indian economy it is the month where all expectation and desires followed with wishes and prayers are expected to come true. For some it comes true and for some it remains negative or dull. We celebrate festivals but the dates or months or time changes but the festival of February is always fixed that is at the last week of February. By the time I am writing this many of us have got the meaning of my words and also might have read a dozens of reports on budget and its impact. I have also the same story line but with few twist and tails not visible in common eyes. They are invisible analysis. We all are glad to have the direct tax kitty designed with higher limits. It’s true that the higher limits will result to more savings and more enjoyable life. But we Indians are now on the path of a different life style. A life style where old cinema house have been replaced by multiplex, road side shops replaced by malls and men’s jewelery are more than women. • So with changing life style quality of consumption of goods also changes. In order to maintain that change one need to have spending power. • This spending will help Indian economy to fight against falling exports. This will result to less dependence on us and Europe export. 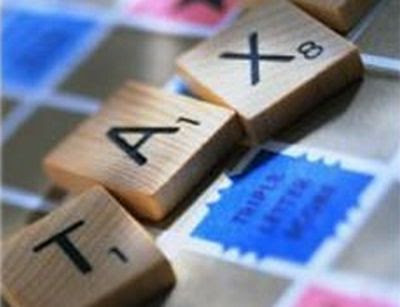 • The new tax slab will enable to enhance the consumption and will increase the power of purchasing parity. • India has followed the path of china. China has used its huge potential of population. India now is materializing on those steps. Rolling back of sops was the biggest show named :THE FEAR FACTOR. • Its true that the government cannot let the policy of easy money flow for ever. • It have to roll back and it did but with much caution. It was just like a new born baby being handled in the same fashion the finance minister rolled back the sops the hike of excise duty by 2% will not affect the companies balance sheet since Indian demand wheel is rolling very fast. • The higher amount of disposable income in the hands of consumers will automatically drive the demand wheel resulting consumption of goods even at hiked prices. • So hike of the excise duty will not create much affect on the consumption and companies will not have much problem to maintain their balance sheet growth figure. The process of disinvestment will run smoothly in the comings days riding on the horse of RBI. The funds required for investments in the disinvestment process will be met from additional sources that will b created via RBI. • This Budget has set aside Rs 16,500 crore towards recapitalization of PSU banks. This will enable the process of lending to be easier. • The prime beneficiaries of this allocation will be capital-starved banks such as Allahabad Bank, UCO Bank, Dena and Syndicate Bank. • Even under Basel II norms banks will be required to maintain higher margin of capital under their balance sheets . • Even under the new law regime banks will have to follow the new system of pricing loans and at the same time that loan have to be backed up higher margin of capital. • The budgets have also made RBI to go a head regarding giving license to NBFC to be converted into banks. • This very process will enable financial inclusion. • Presence of NBFC in rural India is higher. These NBFC provides loans but not in a well regulated manner. • By enabling these NBFC to get converted into banks will reduce the threat of any mismanagement of funds. • This will also help the RBI to form banks within very short time and reaching out to people at much faster pace. INFRASTRUCTURE THE LADY OF FORTUNE. 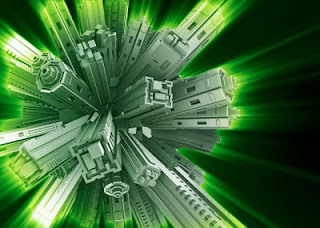 The Indian infrastructures have been the prime agenda and the lady fortune for the Indian corporate growth. • The Indian economic growth and Indian stock market rally happened due to the blessings of this LADY OF FORTUNE named infrastructure. • Like the previous 5 years this year also the budget have made grand allocation for the lady of fortune. Rs1.73 lakh cr for infrastructure have granted in the budget for 2010-11.46% of the of the total Plan was allocated for infrastructure sector . • For 2010-11, the allocation for road transport has been raised by over 13 per cent from Rs.17,520 crore to Rs.19,894 crore. • The allocation for the Railways is up by Rs.950 crore to Rs. 16,752 crore in 2010-11 to help it expand its network. • Funds will also be deployed for roads, ports, airports and railways. The new financial year will bring huge growth for the sectors despite of hike in excise duty. Sectors like metals, cement, capital goods, and financial sectors will be the prime beneficiaries. We again will find the investors community chasing infrastructure stocks. Its true in the past 5 years we have made huge money out of our investments in infrastructure sector. Moreover to achieve the growth of 10% of GDP indian infrastructure have to be up to that mark. In my next article I will bring forth the reflection of rest of the budget on Indian economy. When the developed economies were in busy in formulating policies for catching up the falling hand of economies in to the well of recession, emerging economies were making a paradigm shifts in its domiciles of production plants. 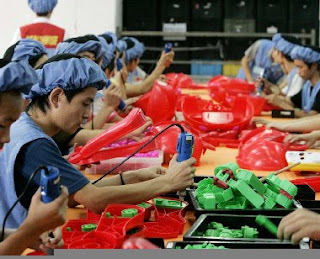 China is again the leader in its first step towards this paradigm shift of its production base. Africa is the name of the land where china along with World Bank is keen to establish its base for manufacturing. The World Bank and Beijing are in discussions about setting up low-cost factories in new industrial zones in Africa. This will benefit not only china or Africa in terms of economic factors but will also show a new path to the new decade after post recession. World bank is very keen to develop this new paradigm so as to make the weak economies parallel to the emerging economies .World Bank and China is very keen to make a shift of its production base. For China it stands out to be very much economical. Chinese officials and academics have been debating in recent months proposals to use the country’s vast foreign exchange reserves. These reserves will be used to stimulate demand as well as develop emerging economies like Africa to become parallel with the world economy. • Chinese industries will have the benefit of cheap cost of production as compared to other economies. • The pressure on china to increase the valuation of its currency might materialize in the coming years as international pressure increases day by day. • Once currency valuation goes up the Chinese cost of production will increases making the Chinese economy under severe threat. Industries in china will no longer enjoy the cheap cost of production and making abnormal gains from export. • Hence by shifting production plants to Africa will make the Chinese manufactures under low cost regime of production and finally helping them to retain the place of abnormal gains. • At the same time we all know that US and Europe are very much aware of the fact that Chinese goods have replaced their products in their own country shops. • So various ways have been adopted in the recent one year time frame where we have witnessed ban on Chinese products by these two nations followed with other nations too out of fear. Chinese low cost of production and export have stopped manufacturing plants of many importing nations. As a result ban on Chinese goods have been imposed. • So the demands of Chinese goods are getting reduced and making it more vulnerable for the Chinese manufactures in the long term. • Hence by shifting production base in Africa will also help them to create demand and reduce dependence on US and Europe primarily. World Bank desires to make African economy to grow and prosper just like Asian economies. This is the only prime reason that both of them are now busy to formulate plans of making this paradigm shift. But in the opposite direction some African leaders are not willing much to have china establish its base of manufacturing. The prime reason behind is that they fear Chinese competition in areas such as shoes and textiles are undercutting Africa’s weak industrial base. This competition might damage the domestic industries of Africa is the fear within the minds of Africa. China’s domestic market is closed to many foreign-made products. Chinese goods are getting strong resistance from these overseas goods. Hence china is focusing to put stronger emphasis on domestic consumer demand to create new markets for Chinese goods. So this time we might see that china might go for some ban of its overseas products entering to china. If we look at another nation Japan we find same type of paradigm shift of production base.Major Japanese carmakers increased foreign production to record highs in December, as they continued to move factories abroad. China has been their main production base. Production of automobiles outside Japan increased 69% in December. If we make a quick look we will find that many other nations and companies are making a production base shift. • Toshiba Corp. will cease producing television-sets in Japan by the end of March and shift all production to China. • At least three toy companies from Canada, Britain and Hong Kong plan to shift order for toy production from China to Indonesia. • Evergreen Solar to shift some operations to China. Its not only china looking forward for shifting its production base out of its own land but also other nations and coming up to make a shift of its production base too from china and into china. At the same time many companies are moving out of china shifting its production base. The reasons are yet to be disclosed why they are making a move out of china, but in the near term we will find many companies making a move out of china once the currency pressure on china becomes irresistible .They might be moving out of china as they might anticipate the end of the low cost production days very soon. In gamut China needs new markets and low production base to sustain otherwise if competition comes in to playa at equal levels then china might have to face some ugly days. FINALLY CHINA ACKNOWLEDGED THE BUBBLE. 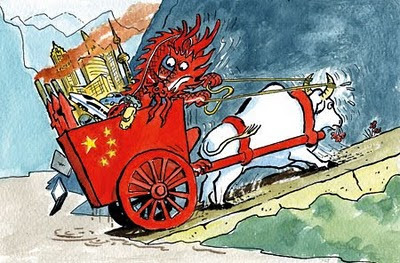 For so many months all economist and equity and financial research analysts across the world have been trying hard to accentuate the eyes of the world economy that china is building a asset bubble fuelled by excess over capacity. Now finally it has been accepted by china itself that they have created a bubble larger than them to control. Before I start on I must thanks all the equity research and financial analysts that we all have succeeded to draw the attention of the upcoming asset bubble which will make the process of recovery out of recession difficult. China’s lending surged to 1.39 trillion yuan ($203 billion) in January and property prices climbed the most in 21 months. According to the National Development and Reform Commission property prices in 70 cities of china have rose 9.5% from a year earlier. The surge of prices has been due to the affects of easy lending followed with uncontrolled flow of funds in to the main streets. Real estate is one of the sectors where prices have scaled up. Automobile followed with cements and capital goods are also under the ambit of excess flow of funds resulting over capacity bubble .Asset prices and commodity prices are also under the threat of excess valuation. It’s not due to the stimulus package alone declared by china but the uncontrolled loans given by banks without taking care of any quality measures on the loan papers. Its juts like US mortgage case where quality of loans was never taken in to account. China’s 9.35 trillion yuan of loans in 2009 have given birth to the fear of another financial crisis in the fastest growing economy. • The China Banking Regulatory Commission (CBRC) issued new regulations on Saturday evening telling banks to set lending quotas after "prudent calculation" of borrowers' "actual demand". • It also reiterated working capital should not finance fixed-asset investment and equity stakes. • Banks have been asked to keep a tab and follow a detailed analysis of the repaying capabilities of borrowers through inspections and monitoring. • It have been noticed that the borrowers are borrowing more than they require. It have been found that despite of ample funds on hand for routine business operations, Chinese enterprises are borrowing much more than they needed in order to speculate with various types of investment. This is creating the bubble of speculation and thriving up the prices of the commodities and other asset classes. • In support of the government's 4-trillion yuan stimulus package, Chinese banks have lent an unprecedented 9.6 trillion yuan in 2009, nearly half of 2009 gross domestic product. • 80% of the funds went in to stock market and real estate. This has lead to shoring up of prices to an unprecedented in china. Same thing applies for stock market. • Chinese government is aiming to restrict credit supply to 7.5 trillion yuan (about $1.1 trillion) in 2010. The below chart shows the stock market rally of china. China has built the castle out of sand and when it will burst out it will tighten the financial recovery of the world economies. Since china is very much intricate with major economies across the world. If we dig in to the investments made by china in other economies then we will get a more clear picture of the tremors that might the world economy might have to face if the over capacity and asset bubble burst out. • Foreign direct investment rose 7.8 percent in January from a year earlier to $8.1 billion according to the commerce ministry. • FDI more than doubled from a year earlier to $12.1 billion. • The government approved the establishment of 1,866 overseas-funded ventures in January, a year-on-year increase of 24.73 %. • Even European countries are now dependent on China for doing investments. So if any bubble burst out happens in China then inflow and out flow of funds will get stuck and another phase of skeptical economic investments phase will start on. Every economy will be shaken to go for cross border investments. At the same time when the bubble was getting prepared Chinese economy grew at 10.7% in the forth quarter of 2009 showing the first green shoots of recovery out of recession in 2009 beginning. China's fourth quarter growth of 10.7%, compared with 6.2% growth in the first quarter, 7.9% in the second quarter, and 9.1% in the third quarter. China have show the recovery out of the recession.The below chart shows the GDP growth of China. It have created a bubble on the go of 10.7% GDP growth, but when it started its journey after 2008 September the world economies were busy in finding a piece of land in the ocean of recession. China gave the first land out of the ocean of recession to stand up and bring the hope of recovery mechanisms among the hearts of the world economies. China's economy expanded 8.7% in 2009 from a year earlier, indicating that China achieved its full-year growth target of 8% for 2009. GDP (gross domestic product) rose to RMB33.54 trillion yuan (US$4.91 trillion compared with the US GDP of about $14 trillion) in 2009. But all at the cost of excess and uncontrolled flow of funds Chinese main streets of economy. The only thing which makes happy is that Chinese governments and banks have accepted and the over capacity bubble and have taken measures to control the risk. We can expect some slow down in china economy due to cut down of excess flow of funds and some pull back from the growth rate of 10% GDP. We will found very soon a slow growth as its by natures law that after an unprecedented growth their have to be a decline. The next ball game for china is to maintain the growth rate consistently with out making a bluff call of decline. Investments in china should be done with caution followed with detailed analysis of the risks that might pop up. It would be better to look out for some other economies who are still trying to come out of the dark days of recession. Since their is one thing of surety that its difficult to climb from 100 to 200 but easy to climb from 10 to 100.Since in both cases the percentage of risk is different in case of fall down. Europe have been struggling the worst recession breeze. US economy have shown signs and activities of recovery through its massive stimulus plans and cost cutting measures. Unemployment has touched to all time historic high putting pressures on the US regulatory to look out for some massive packages to stimulate the job market. US have also made some eye catching turn around towards consumer prices and asking the US citizens to go for saving from borrowed consumptions. But among all these one of the biggest economy is struggling hard to survive its 16 nations. 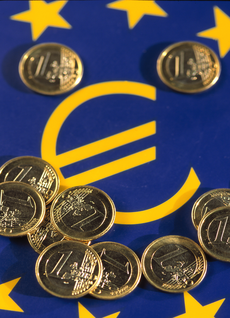 European economy is facing the worst nightmares of fighting back of recession. In one word it seems that most of the economies are coming out of the dark days of recession where as Europe is just making a backward regression. The recession is affecting Greece, Spain, Portugal, and Italy in the Mediterranean and also Ireland. These countries are members of the European monetary union (EMU).Greece is now struggling followed with other nations. A glimpse of the backward journey of its recession. • Greece, which has a fiscal deficit of 12.7% of the country's gross national product (GNP) and state debts of 120% of the GNP. • Portugal and Spain. These countries are also facing extremely high fiscal deficits (eight and 10.1% of GNP respectively) and high state debts (84.6 and 66.3% of GNP). • Spain is currently facing an unemployment rate of well over 18%. • last summer that Spain’s youth unemployment rate had hit 39.2% in August 2009. The above data’s makes one point clear that the recovery of Euro zone economies will be prolonged more than US economic recovery.The rising and never decreasing unemployment in spanin followed with the fiscal deficit of these coutries are going to make the Europe followed with other economies who are interconnected with Europe to be a part of the doldrums.The below chart shows the unemployment rate in Eurozone. We find from the above chart a consistent rise unemployment in Euro zone.The chart itself needs no more words to explain. Finally to save the Greece the most worst the affected economy European government declared austerity programme. But without using this programme the struggling economies of Europe could make its currency to devaluate and change the entire ball game. Countries facing such fiscal and state debt should devaluating their national currencies. A strong devaluation will increase the exports and a will make a fall of imports, thus leading to a surplus in the national current account - that is, to a positive balance of trade in goods and services. The chart below shows the GDP growth of Europe. Boom in exports can would stimulate production, employment, and also improve the fiscal situation of the countries. If we take a close look we can find this type of activity being followed by US very recently where dollar was devaluated against all currencies making its manufacturing activity to propel up. But unfortunately it seems that for Greece, Portugal, Spain, and Ireland is not having one national currency to devaluate. Since euro has no reason of devaluation the best alternative could be for these countries to leave the euro zone and return to their national currencies. European economic weather is facing hard times in other areas of the economy particularly the one which will affect the long term growth of the economy. Education which is the back bone of any economy is also under the threat of recession cuts. The European economic crisis has led to budget cuts in the education sector in member states across the European Union at a time when other economies particularly US is seeking to boost its economy by, among other things, putting education at the centre of its new economic strategy. • Latvia has faced severe budget cuts to the country's 34 higher education institutions, with a threatened 50 percent cutback to the planned higher education budget for this year. • Hungary, Italy, Lithuania and Poland are either having or are facing budget cuts. • Irish universities had a reduction of 6% in funding last year with a further 10% cutback for this year's budget. Among all these there are some good news in the wings to survive the European education sector. • Germany has created economic stimulus packages and the UK has set up a €71 million "Economic Challenge Investment Fund" to enable universities to respond rapidly to the needs of employers and individuals during the crisis. • Other member states have decided to meet the crisis with more investment into the higher education sector. • France has increased its public funding of universities in relation to previous years while Spain has increased scholarships. • The European Parliament's education committee is holding a public hearing on "Europe's Universities—Challenges and Responses." So among all these bad weathers there are some good sunshine days standing at the door to come in.Cut back in education sector will make the regression of euro zone economy more stronger.If porpoer care and investments are not being made particularly in times of recession then this will create seveire affects on the short term recovery and longterm recovery and prospect of euro zone. Increasing stimulus will not help but with strict government policies Europe will be able to face come out of the recession. Europe needs immediate polices to create new jobs followed with promoting new entrepreneurs. To keep a tab over the flow of stimulus funds in the desired purpose. What ever steps and polices is being adopted goods from European economies will take some time to come. The world economies and the markets will have taste the tremors of the quakes coming from Europe. Its recovery will be prolonged as compared to US.